Conservation Status (International): IUCN status (international) Near Threatened C2a(i), ver 3.1. Narrow-ranged species, range severely fragmented. Population declining due to degradation of mountain grasslands. Insufficient information on the population status. Economic importance (national): Currently absent. May damage hey harvesting fields. Attraction for scientists. Monitoring methods: no internationally recognized methods for population counts; foot surveys for estimation areas occupied by the vole colonies, range modeling, survey of mountain grassland conditions. Ongoing research activities: irregular observations by vertebrate zoologists at Ilia State University. Contact persons – Andrei Kandaurov, Alexander Bukhnikashvili. Specific information: Dzneladze (Дзнеладзе, 1974) reported densities of 3-32 per ha. Trends unknown. Species considered more vulnerable to environmental change than other rodents (Ясный, 1990). Our observations on one colony in 1988-1995 suggest that voles displace on steeper and less convenient areas after intensification of hey harvesting. Some expansion of the range at the expense of secondary meadows and deforested areas may occur. Why to monitor: Rare species, an indicator of condition of subalpine meadows. Recommendation: Baseline study - mapping number and area of colonies, and genetic survey of the population structure. Follow-up activities: biannual monitoring of selected set of the colonies. კონსერვაციული სტატუსი (საერთაშორისო): IUCN სტატუსი - Near Threatened C2a(i), ver 3.1. მცირე არეალის მქონე სახეობა ფრაგმენტული გავრცელებით. პოპულაცია კლებულობს მაღალმთის საძოვრების დეგრადაციის გამო. მონაცემები პოპულაციის მდგომარეობის შესახევ არასაკმარისია. ეკონომიკური და სხვა მნიშვნელობა (ეროვნული): ამჯამად არ არსებობს. შესაძლებელია სათიბებს გარკვეული ზიანი მიაყენოს და ამავდროულად სათიბების მდგომარეობის ინდიკატორად გამოდგება. მიმზიდველია მეცნიერებისთვის. მონიტორინგის მეთოდები: მიღებული მეთოდი არ არსებობს. კოლონიების ფართობის აღრიცხვა, არეალის მოდელირება, სათიბების მდგომარეობის კონტროლი. მიმდინარე პროექტები: არარეგულარული დაკვირვებები ილიას სახელმწიფო უნივერსიტეტის ზოოლოგების მიერ. საკონტაქტო პირები - ანდრეი კანდაუროვი, ალექსანდრე ბუხნიკაშბილი. რატომაა საჭირო მონიტორინგი: იშვიათი სახეობაა, სუბალპური მინდვრების მდგომარეობის ინდიკატორი. რეკომენდაცია: ჩატარდეს საბაზო კვლევა - კოლონიების დარუკება და ფართის დადგენა, პოპულაციის გენეტიკური კვლევა. მომდევნო აქტივობები: შერჩეული კოლონიების მონიტორინგი ორ წელიწადში ერთხელ. Bukhnikashvili, A. & Kryštufek, B. 2008. Prometheomys schaposchnikowi. 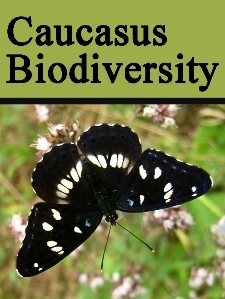 http://www.iucnredlist.org/details/18339/0 In: IUCN 2012. IUCN Red List of Threatened Species. Version 2012.2.<www.iucnredlist.org>. Downloaded on 18 May 2013.
საქართველოს ბიომრავალფეროვნების სტრატეგია და მოქმედებათა გეგმა, თბილისი, (2005).